The Agents Giving Love Mud Challenge is back and teams are signing up for their muddiest, funniest challenge yet. Agents Giving are challenging the property industry to get muddy in aid of charity on Sunday 19th May 2018 in a secret bunker estate in Brentwood, Essex. You will join other industry teams such as; Eurolink, Northfields, Drivers & Norris, JP Gardner & Associates, Paramount, Absolute Properties, Thomas Morris, Reapit and Antony Pepe to name a few. It is a 7km muddy obstacle race to test all levels of fitness so everyone can take part, with over 50 obstacles to choose from. It’s open to all levels of ability, you can enter any number of people in your team which can be made up of colleagues, family or friends. This festival weekend event is hosted by Nuclear Races and benefits from timing chip, hot showers, parking, refreshments and food hall, spectator areas, camping option, live music and entertainment for all ages, a great day out for the whole family. 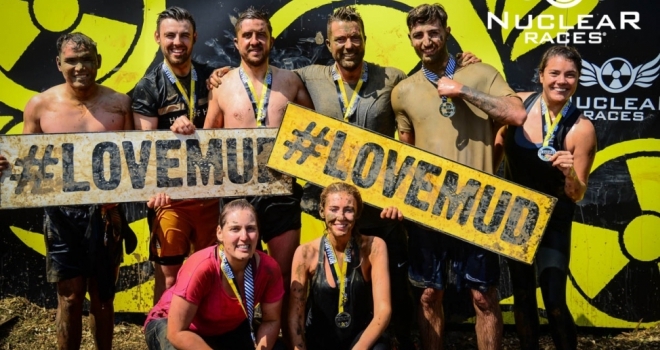 You can follow the latest Love Mud news and announcement of teams as they sign up at #AgentsLoveMudChallenge. Who will you challenge? Minimum age to take part is 13 years old, fees are £250 each which includes entry fees and your fundraising for Agents Giving to be completed by 19th May. Online entry deposit required at time of booking. Last few places remaining on the 4-12-year-old Rookie Race.